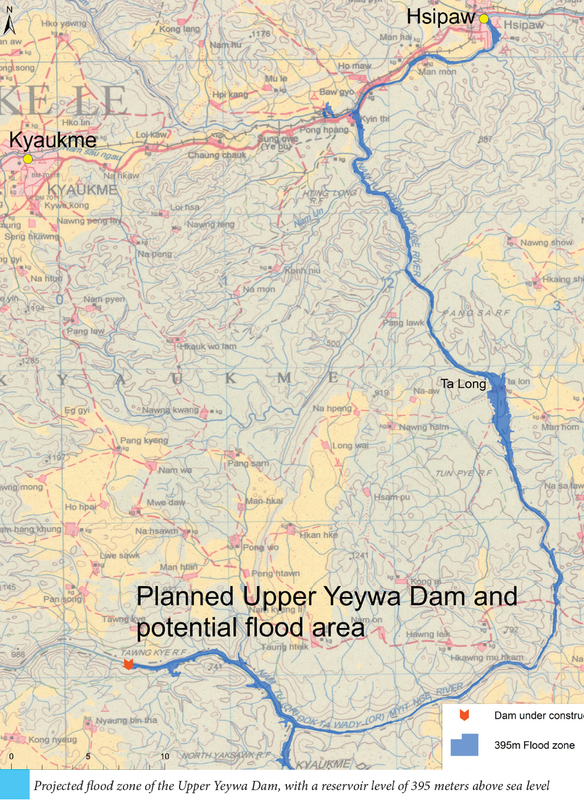 The Upper Yeywa dam will flood traditional Shan villages and irreversibly change the unique characteristics of the Namtu River. Farmers, environmentalists and human rights organizations mobilize against the dam project. The Upper Yeywa dam in Nawngkhio township is one of four planned hydropower dams, located on the Namtu River. 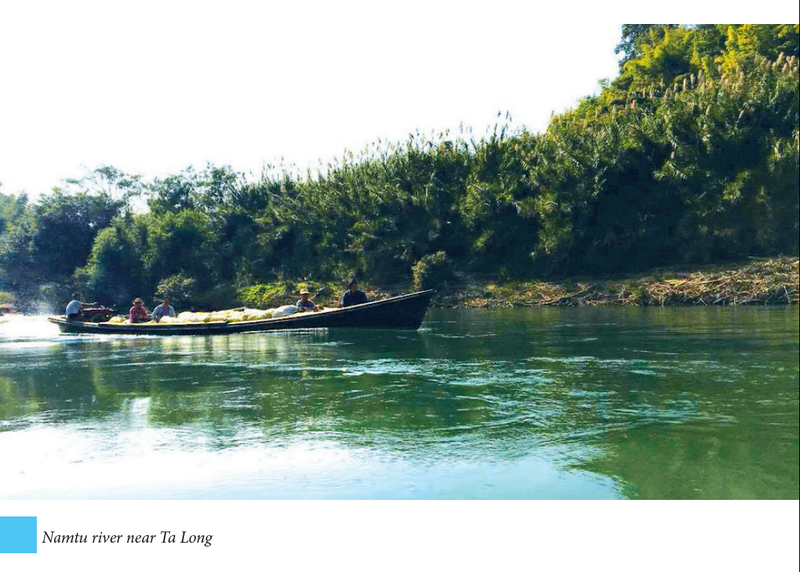 The 60km long reservoir will entirely submerge the Shan village Ta Long, which is a prosperous village located along the river banks, where generations of farmers have relied on the fertile soils of the river banks without any needs for fertilizers. 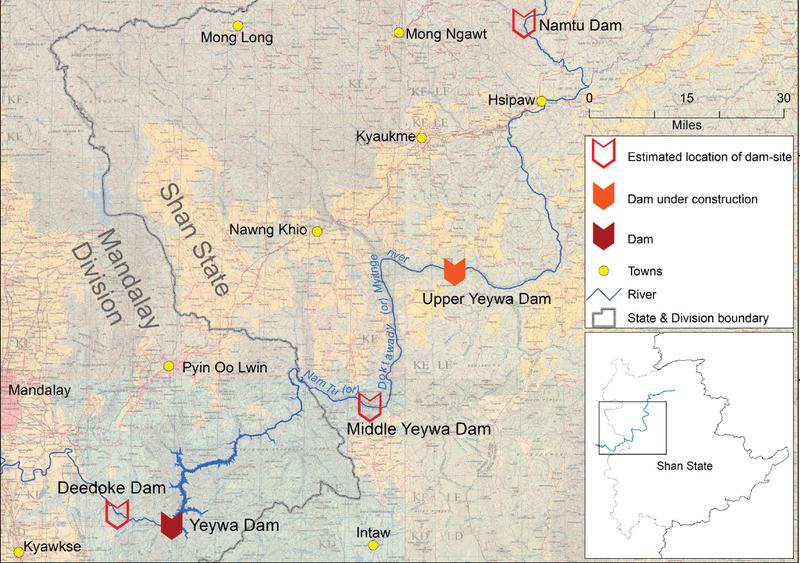 Large concerns over the social and environmental impacts of the dam project have been voiced that have been detailed in the report “Save the Namtu River”, published by the Shan Human Rights Foundation, the Shan State Farmers’ Network and the Shan Sapawa Environmental Organization (see ). Famers, human rights and environmental activists call for an immediate cancellation of the dam project until a nationwide peace agreement is achieved [1,2]. The project started under Burma’s military regime in 2008 and is planned to be completed in 2018. Most Ta Long Villagers first heard about the dam in 2010, when government officials came to collect data about the village. Later they found out that these visits were made to plan the resettlement areas for La Tong. Related documents described that the villagers “fully understand and accept that they must resettle” [1: 17], which was however a completely unfounded statement. It took four more years until an Environmental and Social Impact Assessment (ESIA) was conducted in 2014; six years after the project had started. While the report states that during this process the impacts were largely downplayed, villagers were consulted on where they would like to be relocated. Villagers clearly did not accept the dam project and refused to move as well as to receive compensation . The social impacts of the dam sensitively affect local people and their livelihoods. Moreover, the planning of the dam was characterized by a lack of information, consultation and free-prior informed consent (FPIC) of the affected communities. The dam creates a 60 km long reservoir that will entirely flood Ta Long village and the houses and lands of about 650 villagers, and possibly parts of Hsipaw township [1,2]. The river is also a site of cultural heritage and traditional legends. 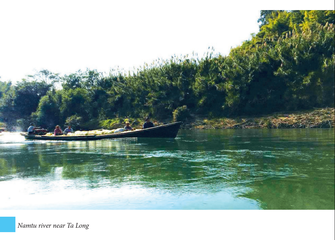 Many hundred-years old stupas are located in Ta Long that will be drowned after operation start. Villagers argue also that the dam project fuels existing tensions as it is developed in conflict zones . They see the Union Government’s control over natural resources as a key driver of ethnic conflict. Military troops patrolling the area cause fear among villagers . 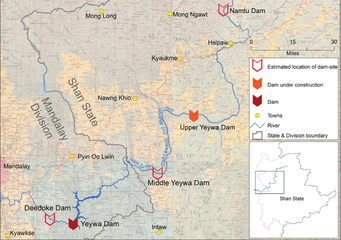 The series of four dams on the Namtu river produces large ecological impacts, including a massive change in the river ecology, and the disruption of fish migration that may affect fish stocks upon which Shan villagers depend. The report further states that toxins from upstream mining activities may accumulate within the reservoirs, negatively affecting health of the ecosystem upon which locals rely. Fears are also voiced over water fluctuations caused by the dam operations, as well as potential flooding downstream during times of heavy rainfall and sudden needs to release substantial amounts of water. Furthermore, the dam is located on the Kyaukkyan fault line, along which Burma’s biggest earthquake took place in 1912, causing concern over potential future disasters . 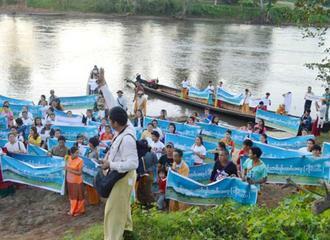 Villagers and organizations have taken actions to protest and halt the dam construction. Several open letters and petitions to local and national authorities were submitted, including one to State Counsellor Daw Aung San Su Kyi and the government, demanding a cancellation of the project [1,2]. Alternative reports such as the “Save the Namtu River”  were produced, that explain the drastic impacts of the dam project. Prayer ceremonies are held for a free flowing Namtu River . 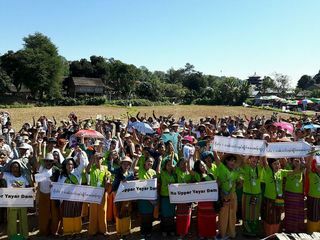 On 27 November 2016, over 1,500 farmers from 19 townships gathered in Thibaw/Hsipaw township to protest the Upper Yeywa dam. It was the third of such big protests during 2016 . Mobilizations against the project are ongoing [3,7]. Protesters call not only for the cancellation of the Upper Yeywa dam, but also for the halt of other new dams on the Namtu River, constructed against the wishes of local communities and in absence of a nationwide peace agreement. Furthermore, the protesters demand a reduction of the Union government’s power over natural resource exploitation in order to enhance their own right to use natural resources as ethnic communities within ethnic states [1,2,3,4]. 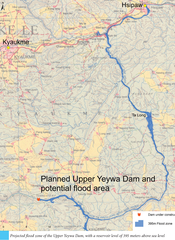 Project Details The Upper Yeywa dam is part of a series of dams on the Namtu River. The Namtu River (Dokhtawaddy or Myintgne river in Burmese) originates in the mountains of eastern Hsenwhi and flows through Namtu, Hsipaw, Kyaukme and Nawngkhio townships, before joining the Irrawaddy in the Mandalay plains. The Yeywa dam was completed during the military regime in 2010. The Upper Yeywa dam (as of late 2017) is under construction. Three more dams are planned (Namtu dam, Middle Yeywa Dam, Deedoke Dam) and were confirmed on January 8, 2016, by by Khin Maung Soe, Minister for Electric Power . The project began in 2008. A water division tunnel was completed by early 2016. Construction of the main dam started in early 2016. The entire dam is planned to be completed in 2018 . Ta Long village will be entirely flooded by the reservoir. The village is well-known in Shan State for producing oranges and pomelos. Other common crops produced are soy bean, rice and corn. Some farmers also use small water turbines to create their own electricity . The specifications of the dam have changed and differ according to available sources. In 2009, the dam was described as a 140 MW dam. The “Save the Namtu river” report stated that the installed capacity of the Upper Yeywa dam is 280 MW or 308 MW, depending on the source [1, see also 5]. The height of the dam was reported to reach between 90 and 102 meters, depending on the source of information (see 1 for details). The reservoir will stretch for about 60 km. The dam will be operated by the Myanmar Electric Power Enterprise (MEPE). Companies involved in the construction come from China (Yunnan Machinery Import and Export Co. Ltd., Zhejiang Orient Engineering), Germany (Lahmeyer International GmbH), Switzerland (Stucky SA), and Japan (with its Chinese subsidiary Toshiba Hydro power (Hangzhou) Co., Ltd ). The consultancy firm Resource and Environment Myanmar Co. Ltd conducted the ESIA. (Source: see 1). The China Exim Bank was reported to be among the funding sources . 4) There must be Free Prior and Informed Consent of affected indigenous communities for any future hydropower projects along the Namtu River"
 The Myanmar Times, 28 March 2017 "Demand to stop dam projects". (accessed online 18.03.2018). 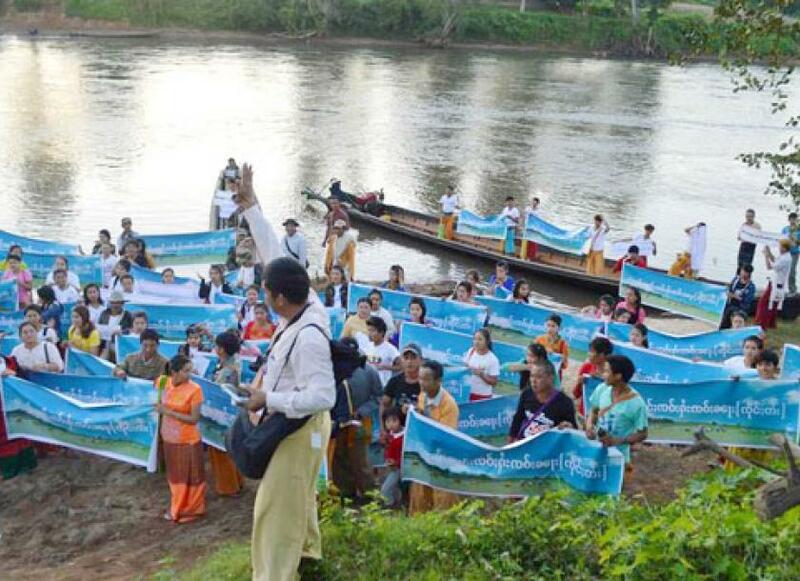 Shan Human Rights Foundation, Media Advisory, 13.03.2018 "Talong villagers’ 4th Prayer Ceremony for NamTu River to free flow" (accessed online 18.03.2018). Hydroworld.com, 30 March 2015. "Toshiba wins turbine contract for Myanmar's 308-MW Upper Yeywa hydropower plant". (accessed online 18.03.2018). The Myanmar Times, 29 November 2016. 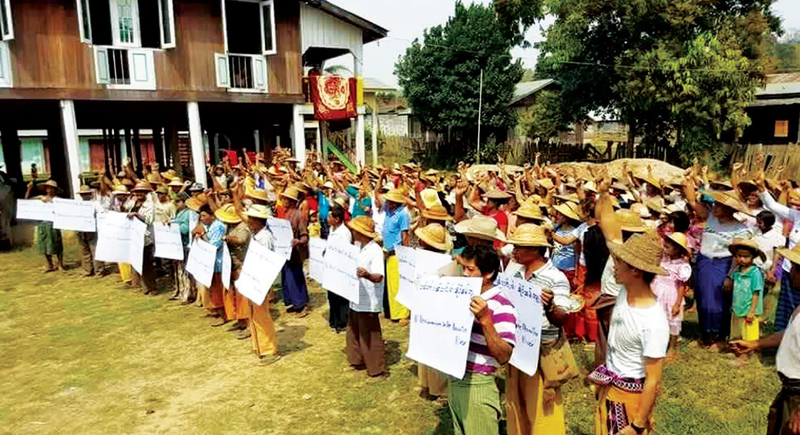 "Hundreds of Shan farmers protest Upper Yeywa dam". (accessed online 18.03.2018). Media Statement by Talong villager, 8 March 2018. 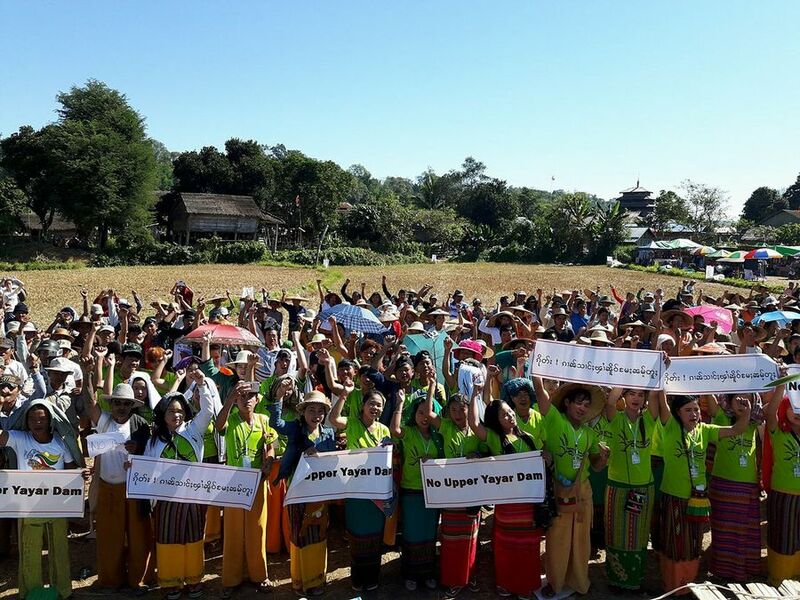 "Talong villagers strongly oppose public consultation on Upper Yeywa dam" (accessed online 18.03.2018).